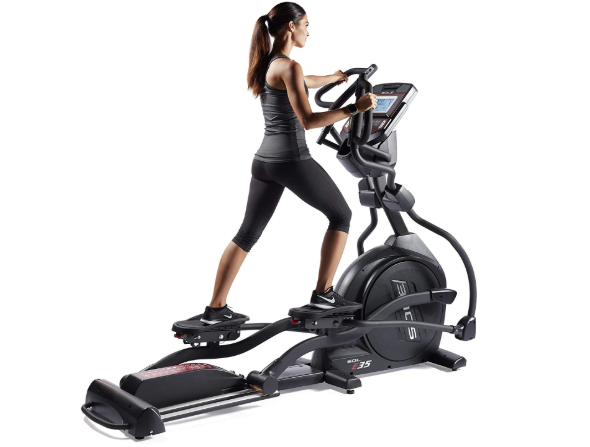 The Sole 35 is our favorite elliptical machine for your in-home gym. It offers a smooth, quiet ride, has easy to use controls, and features a handheld heart rate monitor or a chest strap if you’d prefer a hands-free option. It can incline up to 30 degrees and offers 16 different resistance levels.